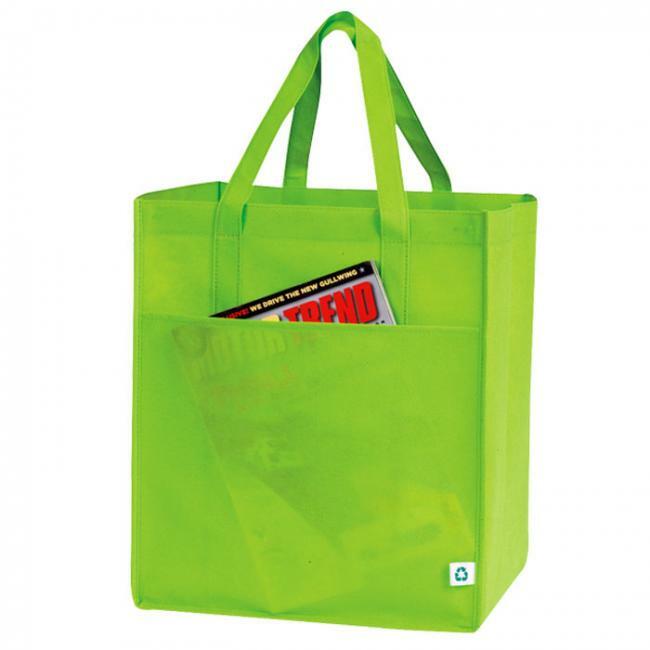 These custom Shopping Tote Bags have a large front pocket for easy storage. 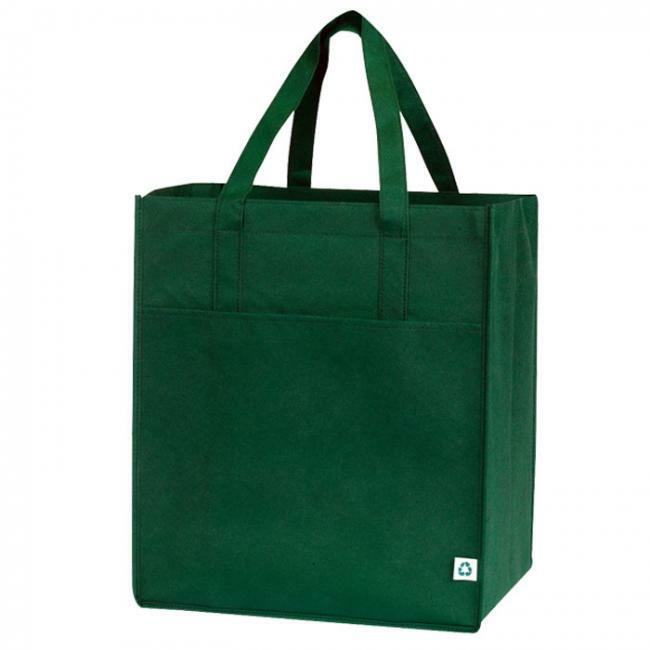 Made from recyclable material, you can be assured that you are also helping the environment by using these promotional shopping totes. 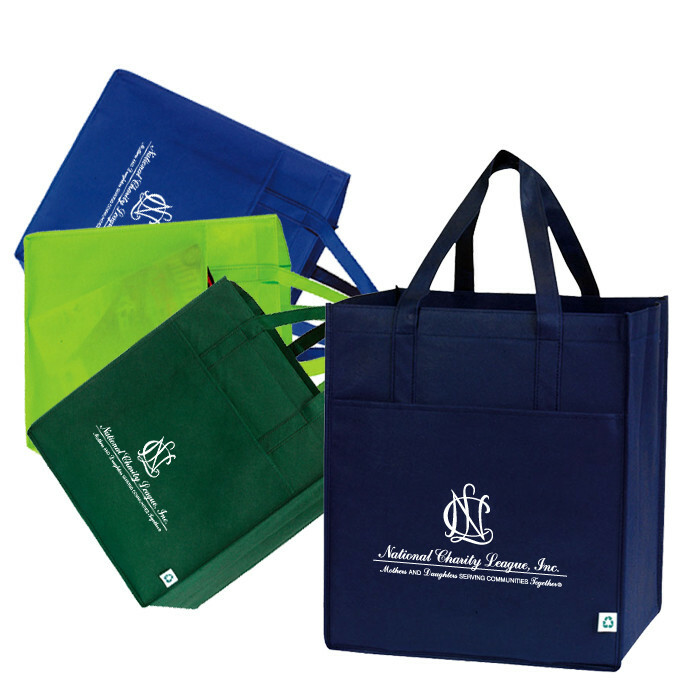 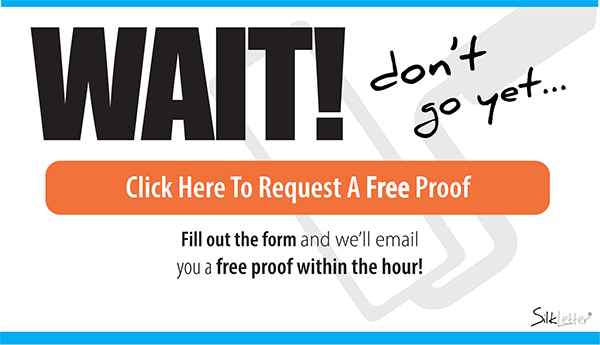 These tote bags are not only classic promotional items but they are also great as corporate gifts for all people – whether they be for friends, clients or employees. 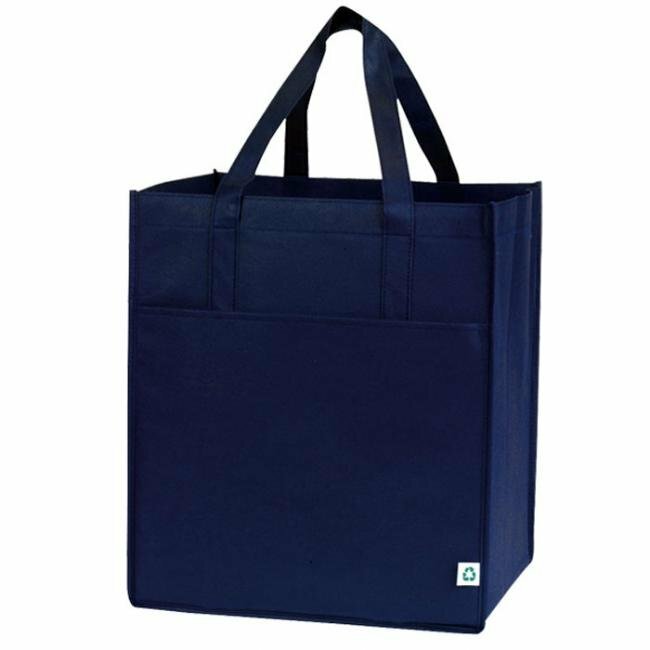 With a large imprint area and a multitude of colors, this custom tote bag would look great with your logo imprinted on them.